You have probably seen this done before, it’s a rather popular photography project right now. I had to give it a go, the results are cool, but not what I was hoping to capture. I will be doing this again during this 365 for sure. 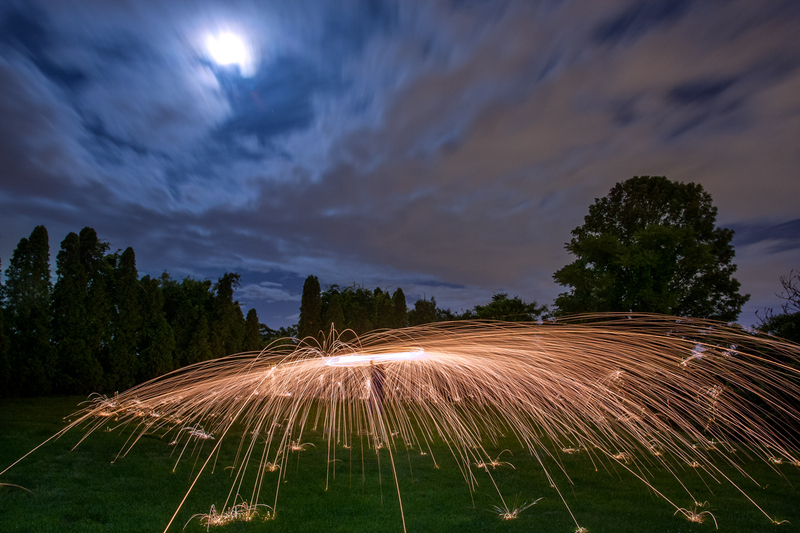 Basically, you put some steel wool in a wisk, tie it to the end of a rope, set the wool on fire, then spin it around while its shooting shards of firey steel wool everywhere. Cool concept! Big thank you to Andrew Baker for being a good sport and swinging that firey ball of madness around. I also had to light up the foreground with a flashlight because it was pretty dark where we were, so some light painting was involved with this shot.